Afterr having my second child in June, my hormones seemed to mess with my face. It suddenly felt rough, like I had a bunch of skin build up. I tried a few things but nothing seemed to have a lasting effect – it either come back or I’d breakout. 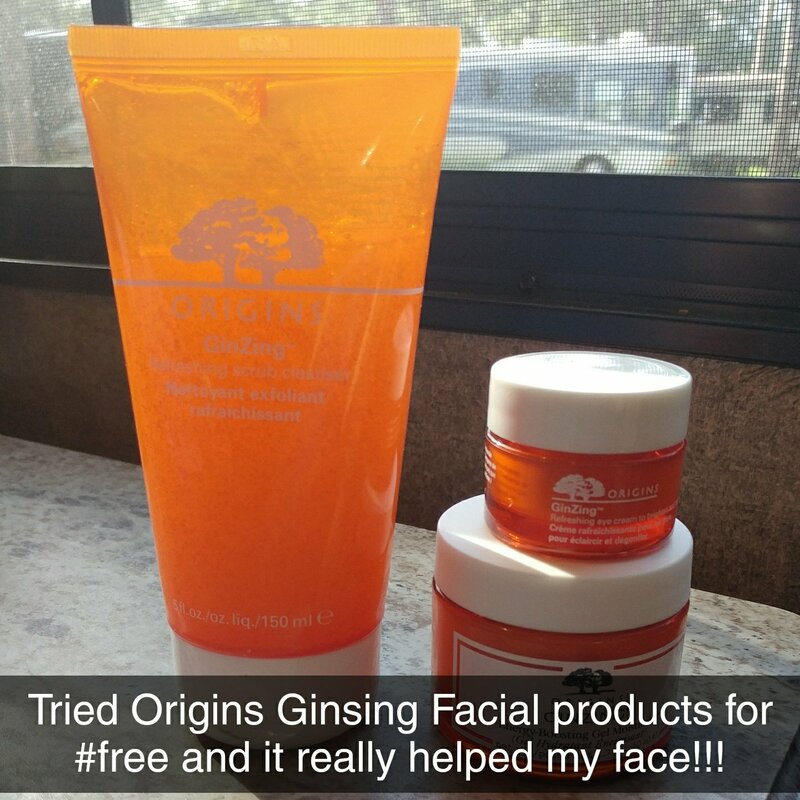 So when I had the chance to try ORIGINS Ginsing Refreshing Scrub Cleaner for free, I thought ‘why not’. And I love it! Not only does it clean my face but it got rid of the skin build up feel without causing breakouts. My only complaint is that it’s very bubbly, making it hard to completely rinse off my face. The Origins Ginsing Energy-Boosting Gel Moisturizer is the perfect compliment to the scrub. Most moisturizers either cause breakouts or flake off my skin. This moisturizer doesn’t -it’s light and refreshing. To finish, the Origins Ginsing Eye Cream helps wake up your eyes and minimize dark circles. For me, it works a little too well – if I use it for several days in a row it dries out my eyes. So I stick to using it every few days and it works well.